Much conjecture and little tangible knowledge exists for a biography of Aphra Behn. She was born Aphra Johnson, possibly in Canterbury, in December, 1640.1 Of her education, nothing is known conclusively. She probably lived in Surinam 1663-4, returned to London, and perhaps married a "Mr. Behn" in 1664, though no records survive. The same supposed Mr. Behn probably died in 1665, though some have suggested Aphra may never have been married at all,2 only taken on the guise of "Mrs." for propriety and protection's sake. From 1666-7 Aphra Behn served King Charles II as a spy in Antwerp, Netherlands, incurring debts in her work, which unpaid (as Charles II was notoriously slow in remitting payments) she served a stint in debtors' prison. After this experience, Aphra Behn apparently left the world of espionage behind for the theatre. Her first performed play was The Forc'd Marriage, 1670, by The Duke's Company. The play was a popular and financial success — an encouraging start. 1671 saw the performance of The Amorous Prince, and by 1672 Behn even edited Covent Garden Drollery, a poetic miscellany.3 Many plays followed: The Dutch Lover (1673), Abdelazar, (1676), The Town Fop, (1676), The Debauchee, (1677), and The Counterfeit Bridegroom, (1677). In March, 1677, Aphra Behn's play The Rover was produced. It was probably her most successful play, and to this day her best known. Nell Gwyn, the famed actress and mistress to King Charles II, came out of retirement to play the role of the whore, Angelica Bianca ('white angel'). The Duke of York (later James II) was also said to have admired the play. The success of The Rover was succeeded by Sir Patient Fancy (1678), with Nell Gwyn again in the lead, as Lady Knowell, and The Feigned Courtesans (1679), which Behn dedicated to Nell Gwyn. The plays were becoming increasingly risqué sexually, and Behn herself was accused of being a libertine. This perception was doubtless reinforced by her friendship with the Earl of Rochester, infamous for his sexual escapades and explicit poetry. Women in the theatre, in general, had always been accused of practising the oldest profession in the world — growing success was accompanied by envy, and a woman in a traditionally male profession was subject to attack. In 1683, playwright Robert Gould wrote of Behn and her fellow woman writers, notably Mary Villiers (Ephelia): "Punk and Poetess agree so Pat,/ You cannot well be This, and not be That.4 And yet nothing would deter Aphra Behn from writing. Like Father, Like Son of 1682 was a flop of such magnitude it did not warrant publication and the manuscript no longer survives.  Behn was arrested for a libellous prologue, but was soon released. At this point, the Duke's Company merged with the King's Company to form the United Company, and playwriting no longer offered a profitable avenue of employ for Aphra Behn, who turned to other forms of writing. Soon after, Aphra Behn finished her first book of poetry, which appeared as Poems Upon Several Occasions in 1684. 1684 also saw the publication of Love Letters Between a Nobleman and His Sister, a Roman à clef loosely based on a contemporary affair, and a pioneer on the field of the epistolary novel. Both works were enormously popular and went through several contemporary printings. Love Letters even had two sequels: Love Letters Between a Nobleman and His Sister, Second Part (1685), and The Amours of Philander and Silvia, (1687). Charles II died in 1685 and was succeeded to the throne by his brother, the Duke of York, as James II. Behn, like other writers of the day, wrote verses on both occasions, and published another poetic miscellany.  Additionally, Behn returned to writing for the stage. The Lucky Chance was performed in 1686 and published in 1687, to be followed by the farce The Emperor of the Moon, which was not successful. In 1688, Behn published the work for which she is chiefly known today: Oroonoko, a short novel about a noble slave and his tragic love. The novel, which may have been based partly on first-hand experiences or stories the author heard in Surinam, was the first English work in print to express sympathy for slaves. It was an instant success, going through many reprints, and was even adapted for the stage by Thomas Southerne in 1695. Oroonoko also appeared in Three Histories, 1688. The novellas included The Fair Jilt and Agnes de Castro. James II, who had never been popular as king, and was swiftly treading towards the fate of his father, Charles I. He was made to abdicate the throne in what has come to be known as the "Glorious Revolution" in December, 1688. 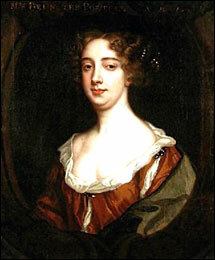 Aphra Behn, who had been a loyal supporter of James, was by this time ill. Her own descriptions of her lame hands and the lampoonists' cruel verses mocking her "limbs distortured" suggest she suffered severely from rheumatoid arthritis in her last years, but kept writing in despite of the pain. Aphra Behn died on April 16, 1689, and was buried in the cloisters of Westminster Abbey, where her stone still rests today at Poets' Corner — not an inconsiderable honor for a woman playwright in the late seventeeth-century. Two of her plays, The Widdow Ranter and The Younger Brother, were produced and published postuhumously. Chiefly remembered for Oroonoko and her play The Rover, Aphra Behn herself wanted to be remembered as a poet. Current interest in woman writers of the Early Modern period has resuscitated interest in Behn, and prompted many new editions of her works. Aphra Behn's poetry was vibrant and robust, and several poems merit rememberance of her as a poet: "Love Arm'd" is frequently anthologized, "The Disappointment" is often discussed in comparison with Rochester's "The Imperfect Enjoyment", and A Paraphrase on Oenone to Paris induced even Dryden to praise it and publish it in his Ovid�s Epistles, 1680. O'Donnell, Mary Ann. "Aphra Behn: The Documentary Record." The Cambridge Companion to Aphra Behn. Cambridge: CUP, 2004. 1. Blashfield, E. W. "Aphra Behn." Portraits and Backgrounds. New York: C. Scribner's Sons, 1917. 162. Salzman, Paul. "Chronology." Aphra Behn. Oxford University Press, 1994. Gould, Robert. A Satyrical Epistle, 1683. Pope, Alexander. Imitations of Horace, 1737. Behn, Aphra. "Preface." Sir Patient Fancy, 1678. Woolf, Virginia. A Room of One's Own, 1928. Jokinen, Anniina. "The Life of Aphra Behn." Luminarium. 28 June 2006. [Date you accessed this article]. Created by Anniina Jokinen on June 28, 2006. Last updated on March 4, 2011.